On 7 April a short ceremony was held in the churchyard when Revd. Vicki Mellor blessed the restored walls. 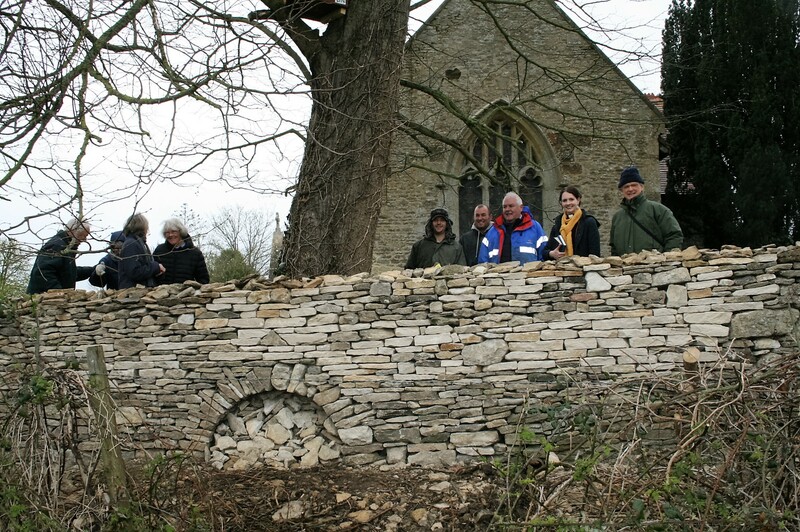 The three men who built the walls, ErIc Sainvet, Gary Langford and Richard Gray, are pictured with Revd. Mellor, along with members of the P.C.C. and Adrian Young, Chair of the Parish Meeting.